A couple of years ago I blogged about the original Arc Mouse and couldn’t contain my excitement back then. A year ago I talked about the complementary Arc Keyboard that had been showcased at CES in Vegas. Well, as with most teams at Microsoft, Young Kim and the Microsoft Hardware Group don’t sit on their laurels for too long. 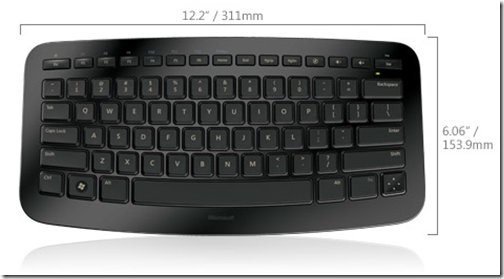 My keyboard is now totally in love with it’s new mate: The Microsoft Arc Touch Mouse. It is, quite simply, an incredible piece of design, portability and efficiency. Watch the video below for what, and the video above for Young Kim’s articulate explanation as to why and how. Like what you’ve read? Why not share this post with your friends using the buttons below!